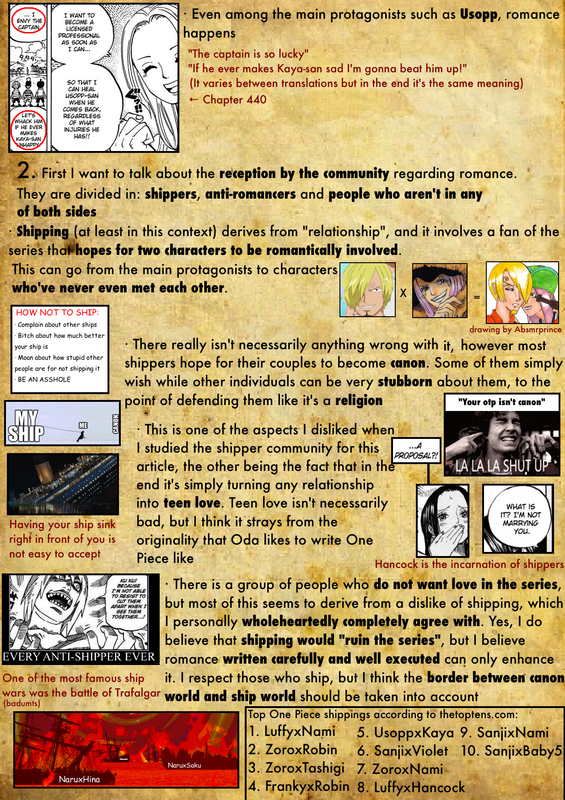 However keep in mind: I AM NOT A SHIPPER and I have no personal interest in shipping. I respect whoever wants to ship but it is not something I like myself. 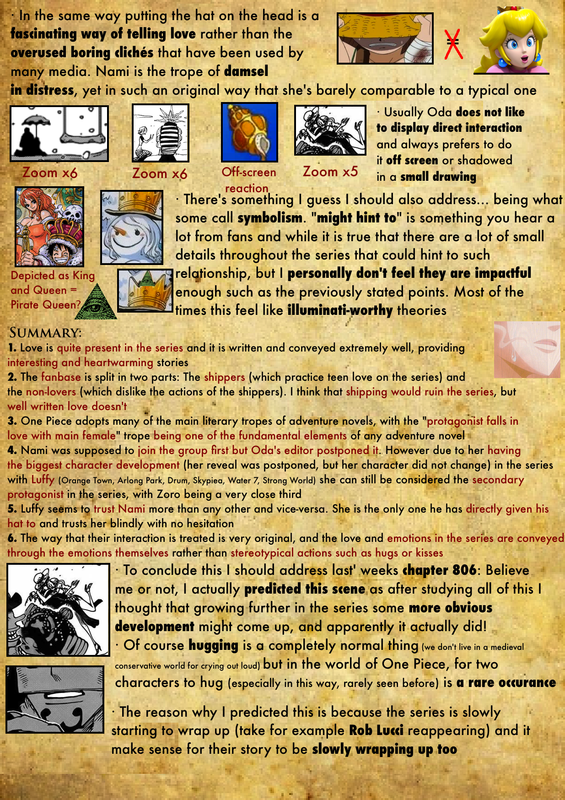 The following is completely unbiased and seen from a more objective and literary-narrative point of view. 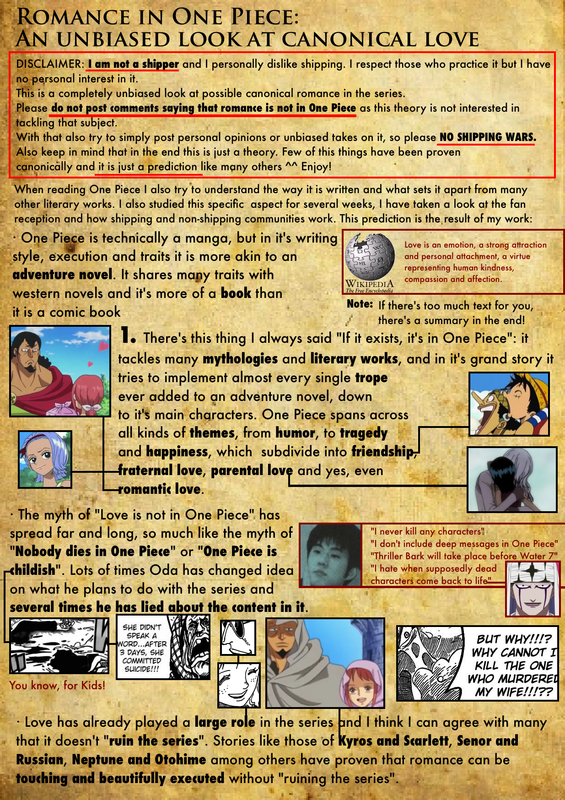 Please do not post any comments saying “ONE PIECE DOES NOT HAVE LOVE IN IT” because this article is not interested in tackling that. Also DO NOT START ANY SHIPPING WARS, this is for canonical unbiased reasons only. I am not trying to sink any ships, and I’m sorry if this ideas contradict your ship, but please keep this shipless. 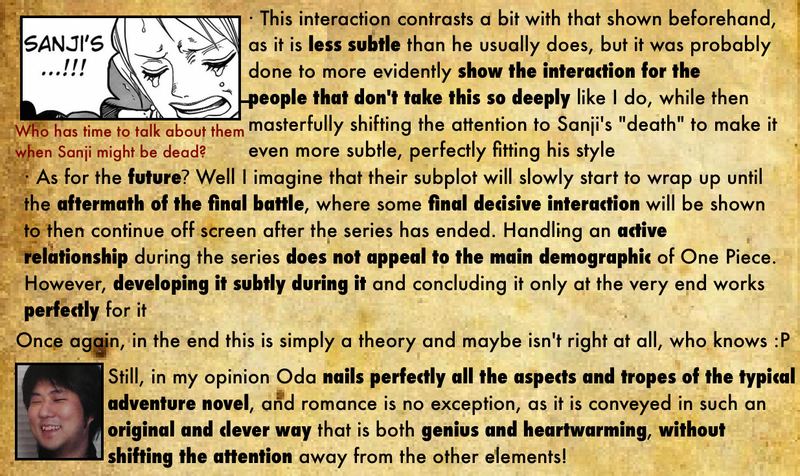 This is also just my own point of view and not necessarely that of Oda. Just don’t take these as personal shippings or personal preference, just what the most probable story outcome might be. In other words, just imagine this as a glorified theory. Please be respectful in anything you discuss! hello, i would like to know which chapter is this quote from picture number one??? Saw this through the Recent Comment section. I’m really glad I found it! This is super great! I hadn’t ever thought about their relationship much. I always just saw it as them being good friends (which isn’t untrue), but you’ve sold me! 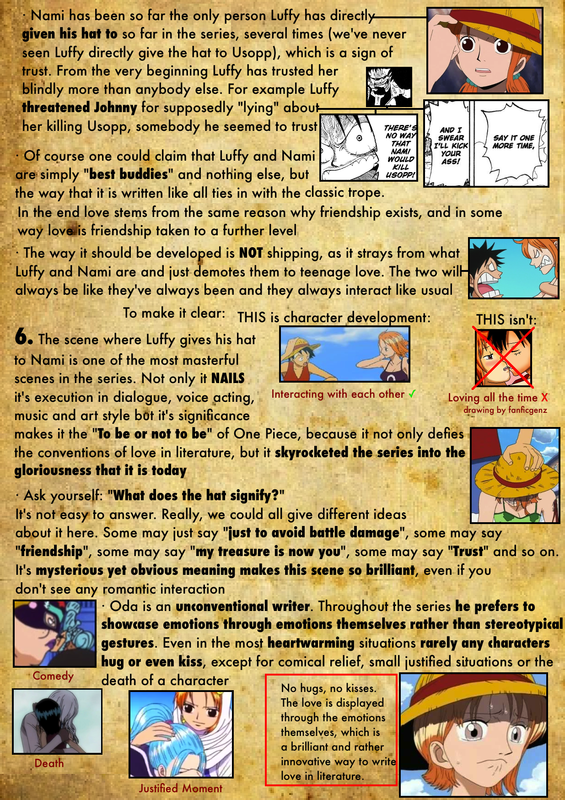 I very much expect Luffy and Nami to stick together in the end, even if some of the others go their separate ways (Usopp to Kaya, Chopper to go help the sick, Sanji may perhaps open his own Sea Resturant in All Blue, Robin may spread her knowledge if the WG’s gone, etc.). 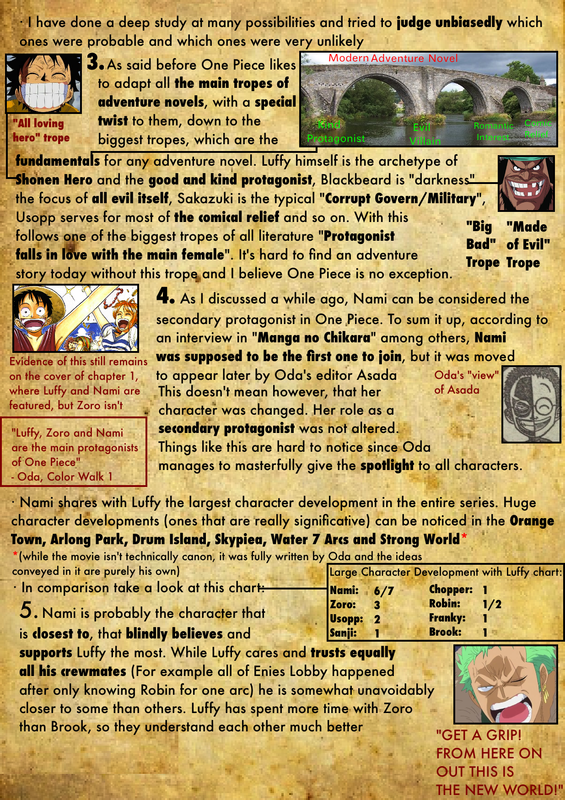 Just read this article and by pure coincidence, I’ve been rereading One Piece at the moment, and I’ve just found out that Usopp is wearing Luffy’s hat in chapter 318 (in fact all of Davy Back fight Luffy’s round) so that is voidifing your argument about Luffy loving Nami more than others.